For U.S. Navy apprentice Eisen White, a series of handwritten letters mailed to Okinawa, Japan, in December was just the morale boost the sailor needed in the midst of his deployment. Last fall, students in Jennifer Ranger's sixth-grade class at Columbia City Elementary School were learning about Japan and took the opportunity to write a series of letters to White, a St. Helens School District alumnus. White knew he wanted to visit those students face-to-face when he returned home. On Friday, May 4, he did just that, and thanked the students personally. The packet of handwritten cards — some adorned with drawings and Japanese symbols — arrived as a surprise around the holidays. "We tend to get a little homesick and our morale tends to go down the drain when you're keeping your nose down to the grindstone as much as you are out there," White said. "When I got those letters, it did boost my morale and it reminded me of why I joined and had the will to fight and serve." White, who is an E2 Aviation Mechanic Apprentice, was stationed at Kadena Air Force Base in Okinowa from September to April. 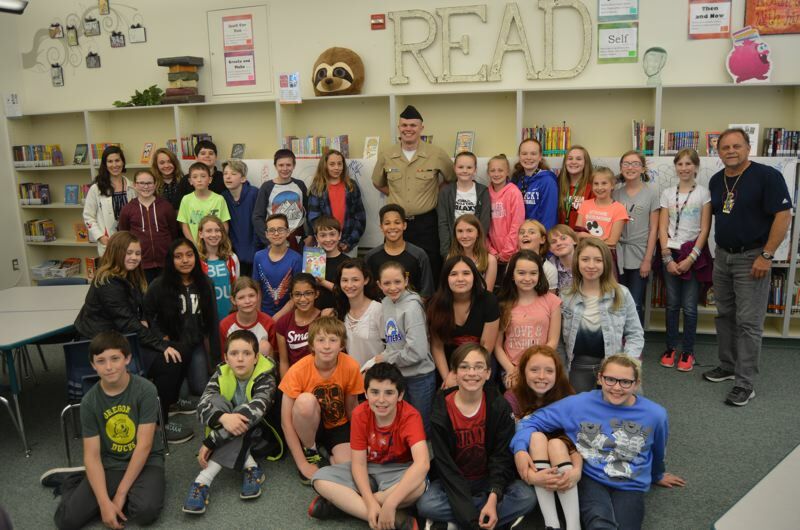 While he was deployed, White's mother, Joyce Smithline, connected with staff at the elementary school and arranged for the letter-writing project with Ranger's class. After receiving the letters, White took the time to reply to each student and answer their questions, Ranger explained. Her class continued to study Japan and, eventually, the lessons were expanded to include more about Japanese culture and history, and more about the U.S. military as well. Both White and Ranger kept the visit a surprise, choosing to not tell the students until a day prior to the visit. "We wrote all these letters, but he was just this figure to us," Ranger explained, noting how excited the students were when she told them about his plans to visit. The students spent time making two huge posters with messages of thanks to White for his military service. The posters were hung on the walls of the library last week. 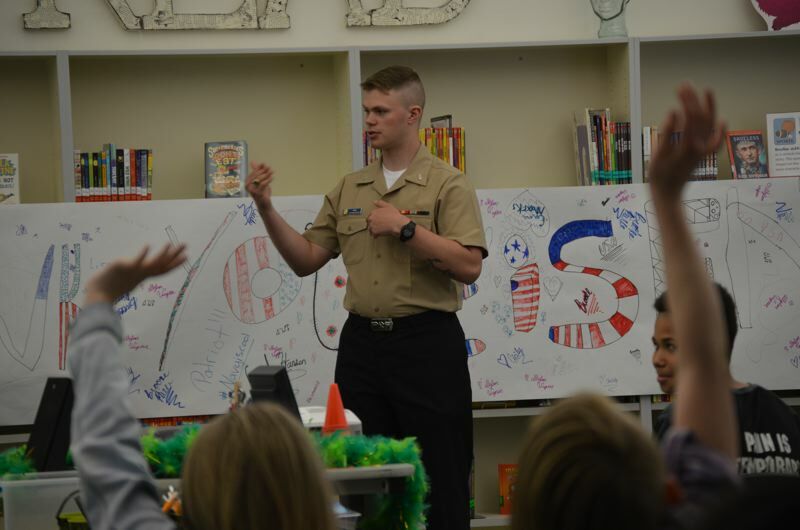 Many students asked White about his experiences in Japan, his job in the military and about his Navy uniform. Others, opted to ask White more personal questions about his favorite pets, favorite foods and favorite memories of being a student at Columbia City Elementary School. White knew the visit would be a memorable experience for the class. "I remember writing letters to service members overseas, but I never really remembered getting a visit back from them, so that's the reason I did that. I wanted to give them a visit to remember," White said. "It's more sentimental." Ranger added that there are other benefits for her students. "It's just good for them to see someone who has graduated from their school district be successful," Ranger said.